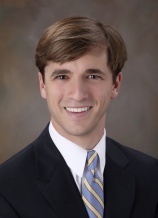 September 16, 2011- Memphis, TN- Glankler Brown, PLLC is pleased to announce that Ryan M. Skertich has joined the firm as an Associate. Mr. Skertich concentrates his practice primarily in the areas of commercial litigation, product liability, real estate, toxic tort and business law. He received his B.B.A. and M.B.A. degrees from Millsaps College and his J.D. degree from Mississippi College School of Law. Mr. Skertich received the Feeder School Scholarship (a full academic scholarship), and served on the Mississippi College Moot Court Board. He won the American Jurisprudence Award for Contracts, Domestic Relations and Law Office Management and the Wright Law Firm Family Law Award.